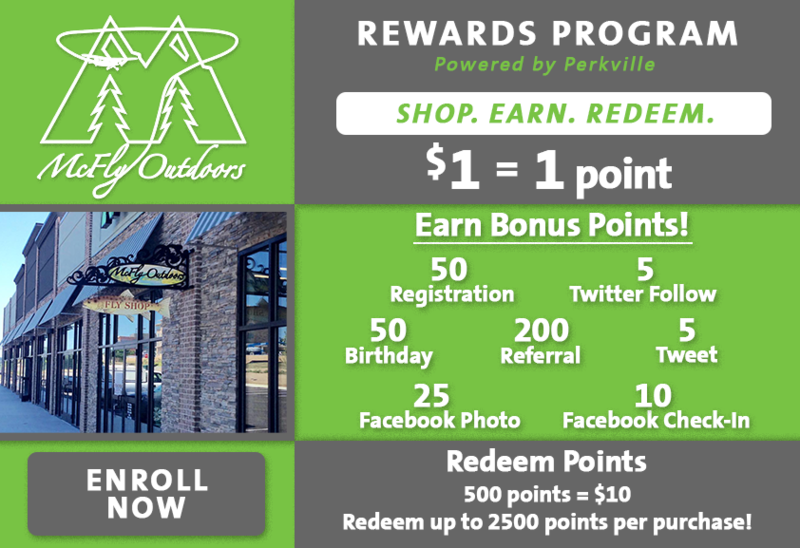 Now introducing a FREE rewards program at McFly Outdoors! Earn points for purchases and bonus points at all locations and online! Enroll today and we'll add 50 points to your account! Certain restrictions apply. Inquire within for more details.